It was in London again where I came across the wonderful wines from Mario and Ferdinando Zanusso. Having imported a good selection of red wines from Italy over the years, we really wanted to find something that could reflect similar values from indigenous white varieties. Sourced from fastidious work in the vineyard and not too much intervention in the cellar, depiciting their terroir in harmonious voice like so many of our other wonderful artisans. I Clivi met all of those requirements. This paragraph defines great wine of any kind, I think, and the Zanusso family live up to their philosophy. 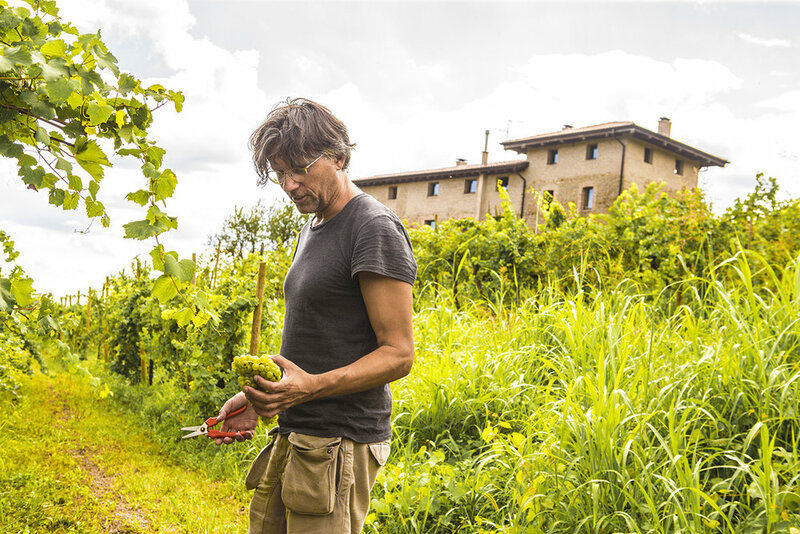 Their varieties include the native varieties Ribolla Gialla, Friulano (formerly known as Tocai Friulano), and Malvasia Istriana, All of the wines are grown organically, and are cleanly but very naturally made, expressive, distinctive and mouthwatering. The winemaking is essentially the same with all of the whites, except the lees-aged wines and the fizz. The whites are not macerated with the skins, they are fermented using indigenous yeasts, and they age on the fine lees until bottling. Again these are ‘natural’ wines, but they never once themselves let dogma dictate where they sit in the world of wine.